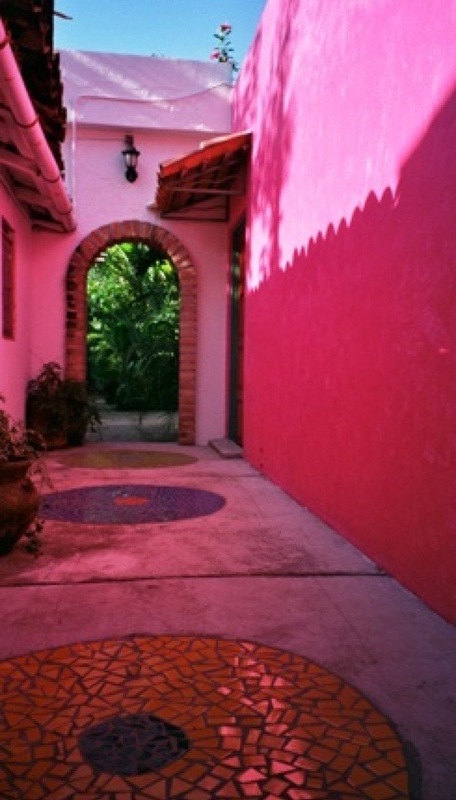 Join me for a week of creative immersion at Hacienda Mosaico in Puerto Vallarta, Mexico. Lotus Garden: Exploring Beauty, Awareness and Creative Connection. This will be my third time teaching at Hacienda Mosaico. It is such a beautiful retreat oasis, lush and full of artwork, hidden areas to relax and reflect and a wonderful open studio space, available for use 24 hours a day. I can't say enough about what a special place this is to spend of week of creation in community with other artists." This immersive workshop honors our unique paths to creative expression, combining creative philosophy and art making in an alchemical experience that fosters creative expression and celebrates living. Workshop participants are invited into a sacred circle that will include discussions about the process of creation and the desire to manifest our inspirations. 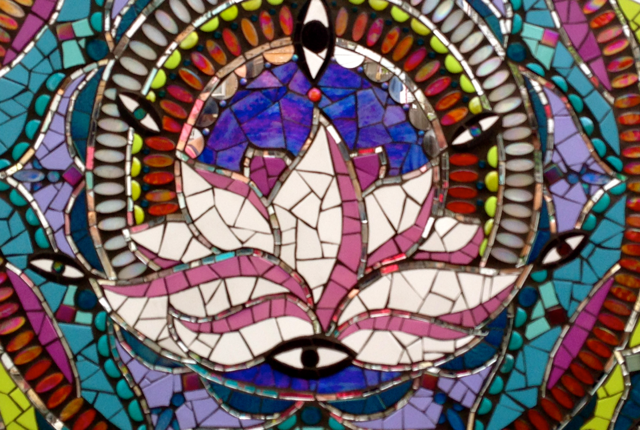 During the workshop, students will be guided through short, daily exercises designed tofoster exploration, share inspiring texts and work on an individual mosaic piece in the shape of a lotus flower to take home. 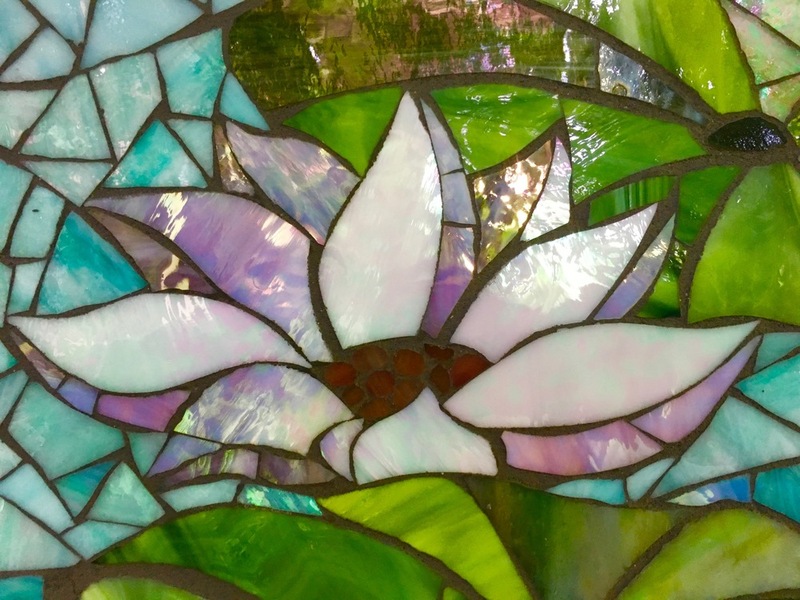 The workshop will include lessons in precision glass and mirror mosaic techniques, working with each at their own individual level to help build their skills and/or master new techniques in cutting, setting and combining materials. Two-dimensional lotus forms (sized for easy transport home) will be provided for each student. Each form will include a small area for a candle, in order to light the piece from below. We’ll discuss material selection in relation to play of light, reflection and textural qualities. This workshop is open to students of all experience levels. Beginners welcome. Materials and supply list will be supplied upon registration. 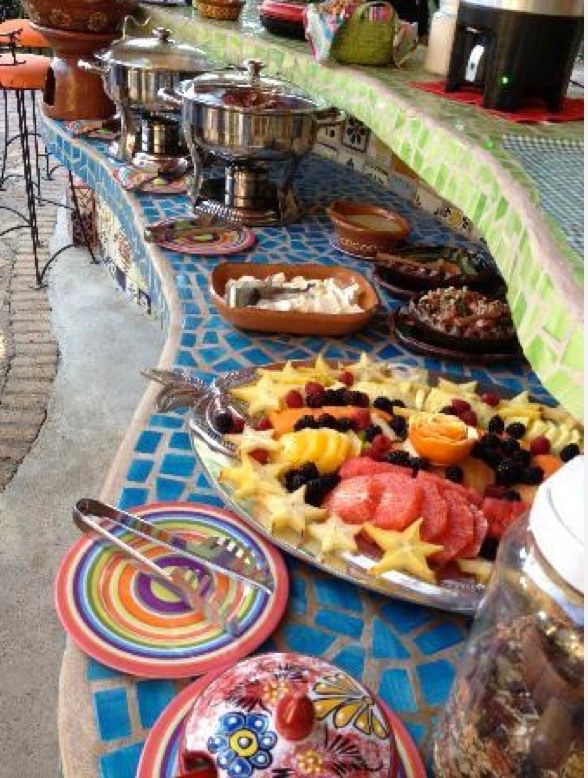 Accommodations, breakfasts and lunches are included in the cost of the workshop. Workshop participants have the option of exploring the town of Puerto Vallarta in the evenings, or enjoying the myriad small, family-owned restaurants close to Hacienda Mosaico. "I am so inspired and intrigued by the symbol of the lotus. It shows up as a recurring symbol in both my public and studio work. I love the symbolism of this beautiful water flower that can be found all over the world...one that can grow and flourish in the most challenging situations yet remain beautiful and graceful. Sometimes we know we want something in our lives, but we don’t know what. We can’t even put it into words…it’s a feeling, a fleeting concept…something intangible, yet essential. I believe this desire is inextricably linked to our connection to creative expression. Our very well-being depends not only on our connection with others and ourselves, but also on our relationship to the process of creation. Bringing inspiration into form can be challenging, scary, beautiful and healing. The symbol of the lotus can be drawn upon for personal strength and as a reminder of our essential resilience and the universal beauty and grace available to us as we navigate our imperfect world. Having the support of a group of creative seekers on a similar path can be incredibly supportive and fortifying. That is one of the reasons I enjoy teaching and facilitating workshops where a group comes together for a special, and many times transformative, week of work, thought and play. 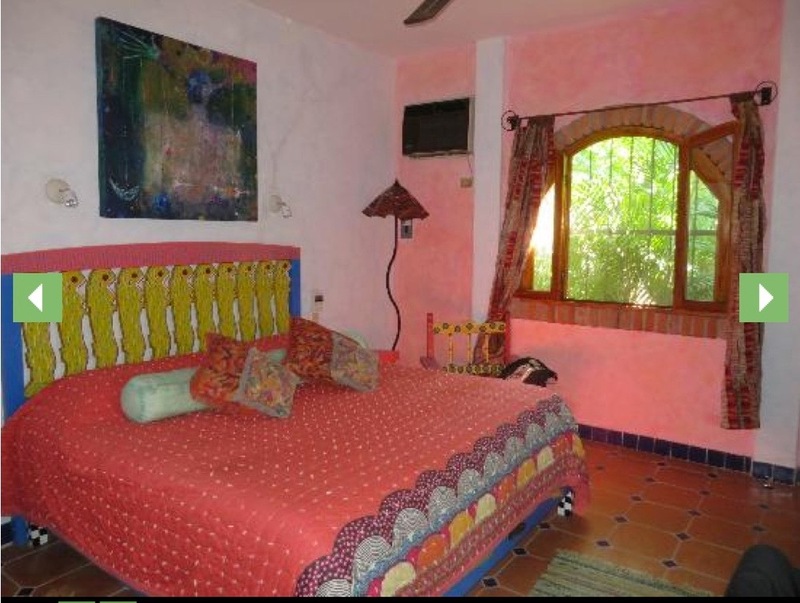 I absolutely love the environment and beauty of Hacienda Mosaico, with its open-air studio, refreshing waters and colorful artwork throughout. I feel so at home there and I know you will too. It is truly an inspiring, creative oasis. Slowing down is the big theme for me right now, and staying grounded in the midst of movement, which seems perpetual. I love the dualistic characteristics of the lotus…floating but moored, dirty but beautiful, exotic but ordinary. 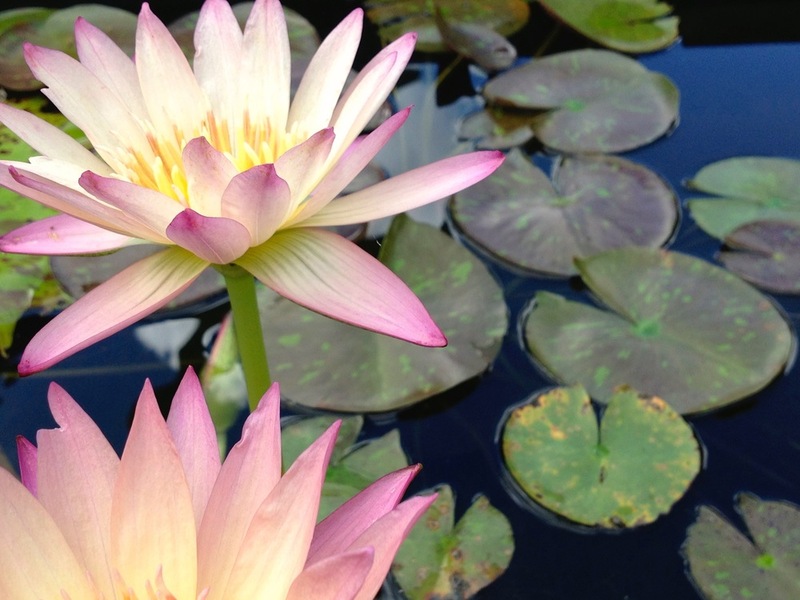 I’m constantly striving to reach something akin to Tennyson's mystical “The Lotos-Eaters” poem, where I can sit in a state of centered awareness, eating lotus seeds and basking in the joy of the Now. When that time will come, I have no idea. 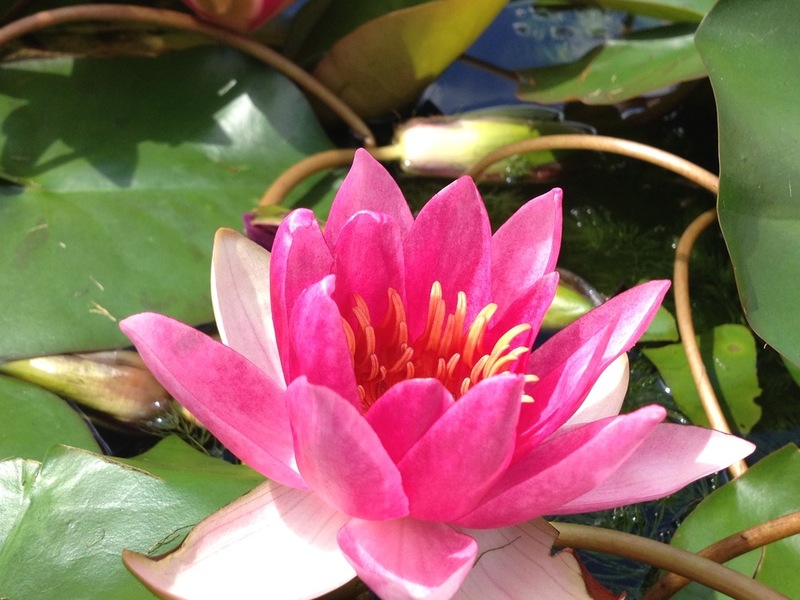 But in the meantime (which is the only time, as Jimi Hendrix so aptly pointed out), I strive to be grounded in a lotus-kind of way…watery, graceful and full of potential. For the second time, my workshop will fall on the week of my birthday. I look forward to celebrating as we each begin the next chapter in our creative stories.